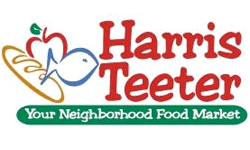 Harris Teeter Super Doubles starts tomorrow! This is the third and final list for sales running 4/15 through 4/21. During those dates coupons up to $2 will be doubled! You are limited to only 20 doubled coupons per a day, but it’s well worth and makes so many amazing deals! Check all three lists and enjoy the savings! Let me know how you do in the comments section.